Thailand is a bucket-list destination for many – its beauty can be found in many films; its hospitality is legendary throughout the world. A small and strong nation, Thai culture is so much more than pristine beaches, wild parties, and ancient customs (although it is those things, too!). You may be intrigued by its elephants, or its thousands of Buddhist temples. We can assure you that once you’re there, you’ll also love exploring ocean life by snorkeling, jungle life by hiking, and urban life by shopping in one of the many bustling markets. Thailand is notoriously safe and hospitable to LGBTQ travellers and can be a suitable destination for families, plan well to make sure you’re getting the most out of your visit. 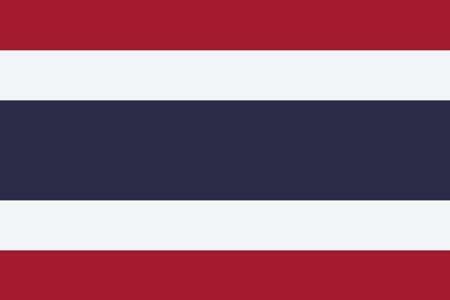 Thailand is a country located in South-East Asia, bordered by Myanmar to the north-east; Laos to the north-west; Cambodia to the south-west; and Malaysia to the south. Thailand has over 3200 kilometres of coastline. The majority of the Thai coast is along the Gulf of Thailand, on the South China Sea; however, on the Malay Peninsula, the coast is along the Andaman Sea. Food You Must Try: Pad thai: If you know only one Thai food it’s likely Pad thai, the national dish of rice noodles, eat, lime, and peanut. If you haven’t tried Pad Thai in Thailand, you haven’t really tried it. Sukhothai and its contemporaries (Si Satchanalai and Kamphaeng Phet) were designated UNESCO sites in 1991. Excellent examples of 13th and 14th-century Thai architecture and design, these towns are confirmed to have shared a united politics and infrastructure. Innovations in art and science in this region, during this time, are foundational pieces of Thai culture today. Each town is a national park that is well protected and preserved, because of their religious significance to the vast, Buddhist majority of Thailand, to offer visitors an insight into Thai life in this era. The Thungyai-Huai Kha Khaeng Wildlife Sanctuaries, on the border between Thailand and Myanmar, are essential for the conservation of South-East Asian wildlife, particularly elephants and tigers. Established in the 1970’s, this 600,000 hectare World Heritage Property is the largest conservation area on Mainland Southeast Asia and is challenging to access; which makes it well-preserved. The sanctuaries’ plant and animal diversity guarantee their uniqueness and rare beauty. Although exploring the park is limited and challenging both due to location and the forest itself; there is a visitors centre, walkable trails, and ongoing research projects – you might even see a tiger track or two. There are hundreds of islands along Thailand’s coast, if you’re looking for the prime location for massive parties, or imagine yourself filming “The Beach” with Leo DiCaprio, Koh Phi Phi is your island. If you’re looking for something more off the beaten path, these lesser-known islands are perfect. Koh Phayam is quiet and safe; it just takes a bit of a journey to get there, while Koh Hood (or Koh Kut) is ideal for nature lovers looking to put themselves in the midst of the scenery. These islands (and others with less tourist traffic) offer hiking, diving, Buddhist temples, and delicious local fare, just like their busier counterparts. There’s a reason Thailand’s Grand Palace in Bangkok is brimming with tourists; it’s absolutely stunning, and you need to be one of them. Now uninhabited, the Palace has been preserved as a museum that is worth the visit. Allow at least two hours for your visit and ensure you’re modestly dressed as you may not be permitted entry if you are insufficiently covered. Built in the late 18th century and home to the King, the royal court, and the government and religious administration for 150 years, the Palace is over 2 million square feet of awe-inspiring Thai art and design. Whether Christmas or Floating, if you regularly follow us, you know that we love a good market. Thailand has so many interesting and unique markets, be sure to fit at least one into your travel itinerary. The Damnoen Saduak Floating Market was originally constructed to cater to tourism; situated on the Damnoen Saduak canal, this market is located about 100 km south-west of Bangkok. This market operates through the morning until about noon, features local wares and food, and is typically a bustling spot. Chang Khlan Road’s nightly bazaar is a vibrant market where travellers can practice their bargaining skills and fill up on local delicacies. A regular retail-based area during the day, Chang Khlan transforms at night and is a must do on your Chiang Mai itinerary. The Chatuchak Weekend Market In Bangkok claims to be one of the largest in the world at 15, 000 stalls over 27 acres of land. Here you can be sure to find the perfect Thai craft to bring home as the market features thousands of local artisans. While in Thailand, make sure you visit a Buddhist Temple or two. Completed in 2008, Wat Rong Khun in Chiang Rai looks like the stuff of dreams, or maybe a more elaborate (yes, more elaborate) set from the Game of Thrones. Designed by Chalermchai Kosipipat, this temple was built for its best display at night when it appears ghostly and powerful. In north-east Krabi, visitors can climb 1200 stairs to visit the Tiger Cave Temple. Those looking to round out a day in Bangkok can visit the 43 metre long Reclining Buddha on Rattanakosin Island, south of the Grand Palace. Although perhaps a cliche, many visitors want to interact with elephants while in Thailand. In recent years, the world discovered elephant abuse is widespread, and this has resulted in increased awareness, particularly in the tourism sector. Fortunately, there are many organizations that provide ethical ways to engage with elephants. You won’t be able to ride them, but you may be able to feed them, bathe them, and learn from their caretakers about these magnificent and intelligent animals. The Elephant Nature Park in Chiang Mai is one such organization that rescues and rehabilitates elephants, providing visitors with unique experiences. Bonus, you get to learn about how elephant dung is recycled, if you’re into that kind of thing. 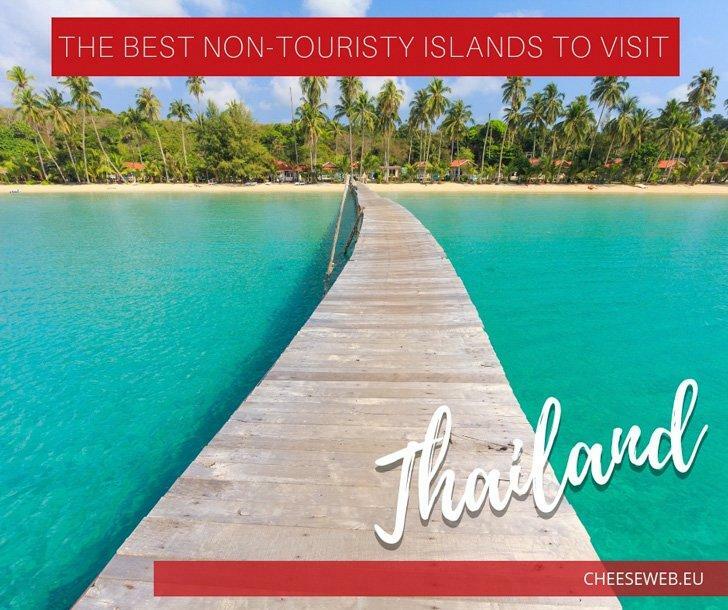 Thailand is promoted as “The Land of Smiles” by the tourism industry, and Thai people are friendly, but visitors looking beyond the brochure will find a more interesting and nuanced cultural reality. Thailand was never colonized by a European country. King Rama V (of “the King and I” fame) is known for modernizing and cooperating with European powers to maintain Thai independence. Most Thai men are ordained as Buddhist monks. Many young people study religion. However, it is more common for men to become ordained. Buddhism is an integral aspect of life for the majority of Thai people; there are over 40, 000 temples in Thailand. Bangkok is a nickname, the city’s real name is Krungthepmahanakhon Amonrattanakosin Mahintharayutthaya Mahadilokphop Noppharatratchathaniburirom Udomratchaniwetmahasathan Amonphimanawatansathit Sakkathattiyawitsanukamprasit, meaning “City of Angels, Great City of Immortals, Magnificent City of the Nine Gems, Seat of the King, City of Royal Palaces, Home of Gods Incarnate, Erected by Visvakarman at Indra’s Behest.” At 168 letters, this is the world’s longest place name. Logging is strictly prohibited in Thailand due to vast deforestation which has caused the demise of a large area of wilderness and jungle. According to the World Meteorological Organization, Bangkok is the world’s hottest city with an annual mean temperature of 28 degrees Celsius. In 2016, Mastercard’s Global Destination Cities Index ranked Bangkok as the world’s most visited city with over 21 million overnight stays. The Craseonycteris thonglongyai (known as “Kitti’s hog-nosed bat” and “the bumblebee bat”), found in Thailand, is the world’s smallest mammal. Thailand is considered safe and is a popular destination for LGBTQ tourists, although LGBTQ Thai continue to experience stigma. Rights for LGBTQ people in Thailand continue to improve with the efforts of activism. Ubiquitous transportation across Asia, the Tuk Tuk originated in Thailand and is named for the noise the vehicle makes as it barrels through busy Bangkok streets.